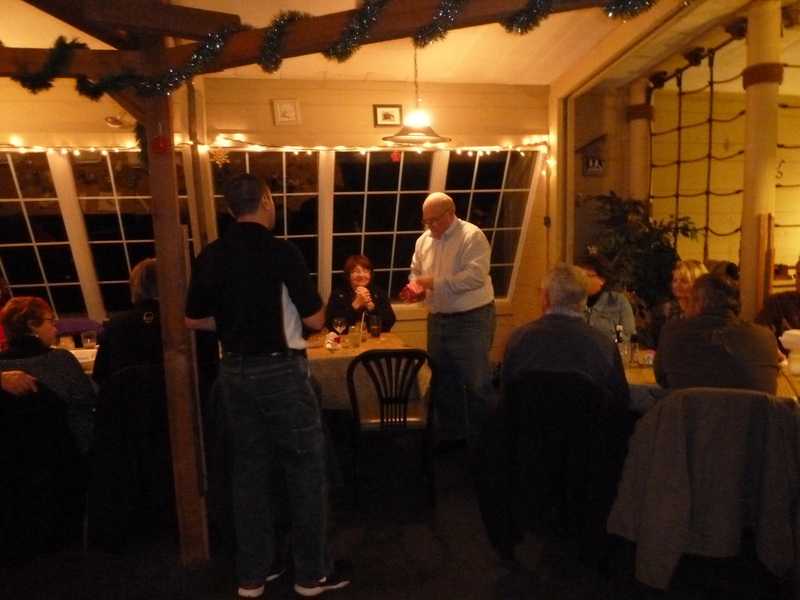 Sunday evening, December 14th, The Elkhart Vette Set had it's Christmas party at Stacys' restaurant at Eagle lake in lower Michigan. we had 26 members attend. 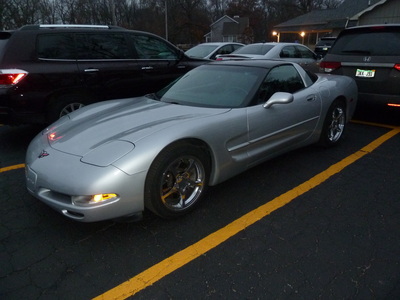 It was a warm clear evening and two couples drove their Corvettes, a rare thing for December in northern IN. 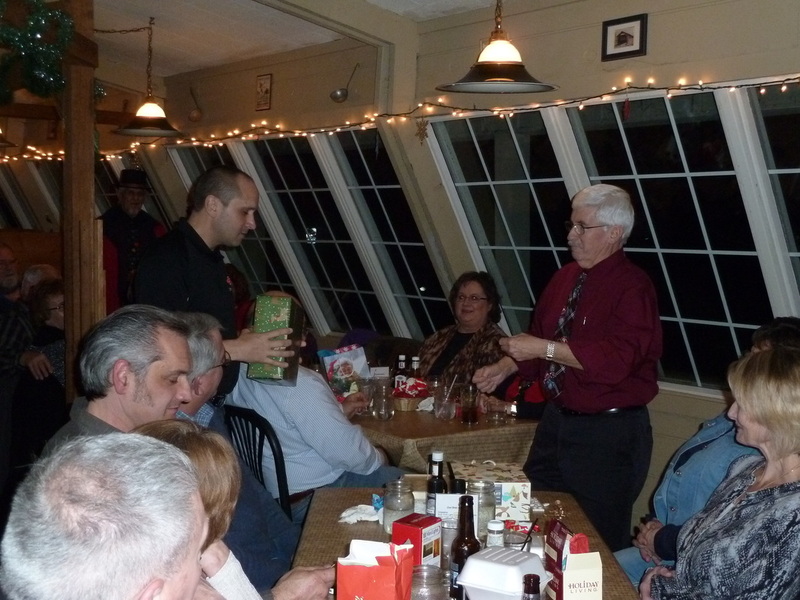 Everyone brought an ornamental gift to put under the tree, then we drew to see who could choose from under the tree or steal from someone else. The person that had theirs taken away could either take another from under the tree or steal from someone else.Everyone went home with a gift, but some gifts were passed back and forth a lot. 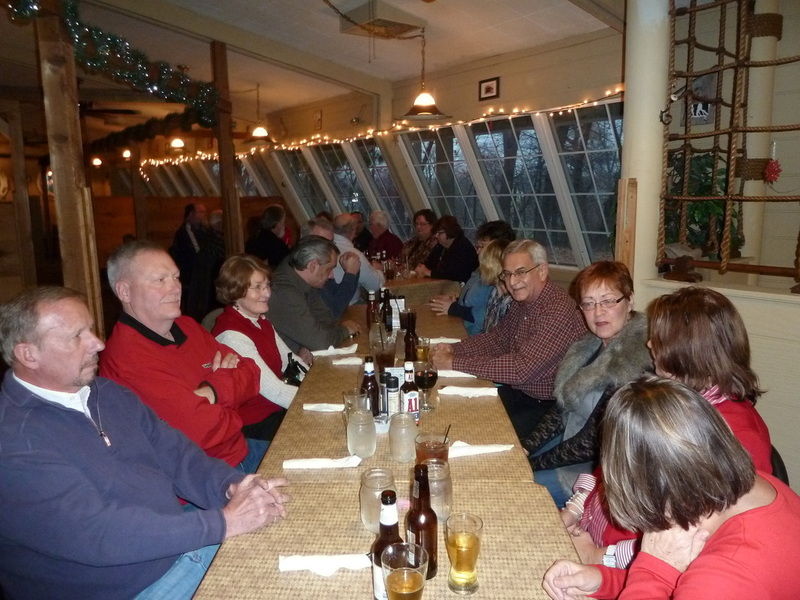 Good time, great food, and a lot of great people. 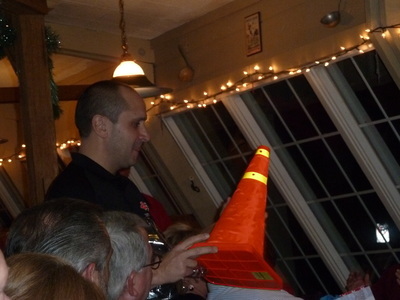 Jack Doke decided to give Dave Buck his very own cone. 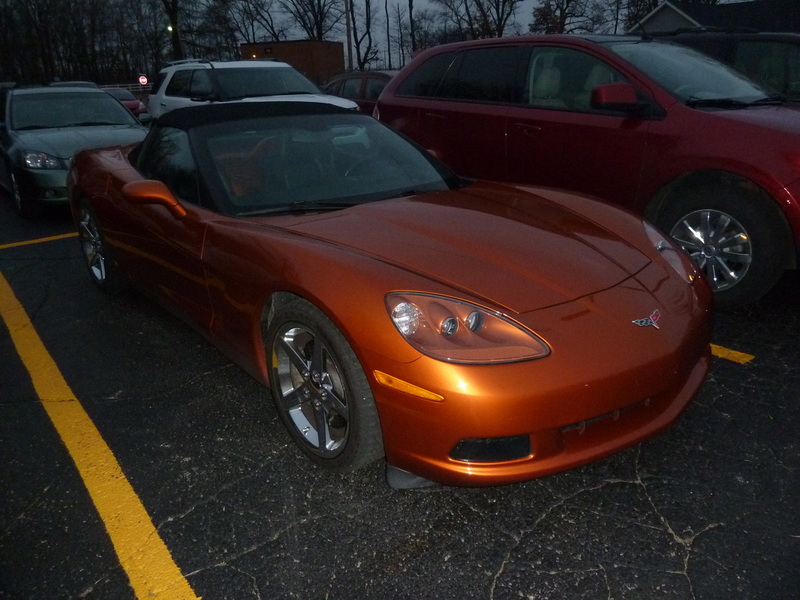 Report and pictures submitted by Stan Delagrange Elkhart Vette Set's Governor.